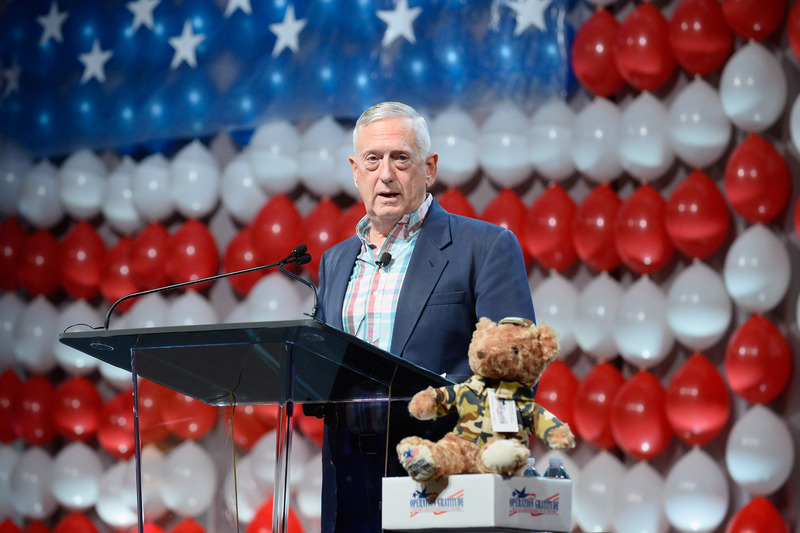 Donald Trump announced Thursday that he will pick retired Marine Gen. James “Mad Dog” Mattis as his defense secretary. Mattis joined the Marines when he was 19 and fought in the Persian Gulf War, the war in Afghanistan, and the war in Iraq. He’s known for many things, including his, er, interesting opinions on modern war. And as Trump himself surely knows, many of Mattis’ quotes about the military are downright scary. OK, perhaps that’s a bit unfair to Mattis. He’s not always the “mad dog” implied by his nickname. He’s ordered his troops to never show “anger or disgust” to civilians in war-torn countries, for example. Mattis also opposes torture as a form of interrogation, and in fact, single-handedly influenced Trump on the matter, according to Trump himself. While it’s disturbing to learn that Trump can be swayed so easily — just mention beer and cigarettes and he’ll do a 180 on the merits of torture — it is encouraging that Mattis is bringing him around to the light side. "The first time you blow someone away is not an insignificant event," he said, according to NBC News. "That said, there are some assholes in the world that just need to be shot." Mattis said this to a group of Iraqi military leaders in 2003, as reported by Slate. "Find the enemy that wants to end this experiment [in American democracy] and kill every one of them until they’re so sick of the killing that they leave us and our freedoms intact," he said, according to National Review. "Be polite, be professional, but have a plan to kill everybody you meet," he said, as reported by Politico. "There is nothing better than getting shot at and missed. It’s really great," the U.S. Marine's Twitter account once quoted him as saying. Really? No experience is better than avoiding a bullet? Not even bubble baths or s'mores? "You go into Afghanistan, you got guys who slap women around for five years because they didn’t wear a veil," he once told an audience, USA Today reports. "You know, guys like that ain’t got no manhood left anyway. So it’s a hell of a lot of fun to shoot them. Actually it’s quite fun to fight them, you know. It’s a hell of a hoot. It’s fun to shoot some people. I’ll be right up there with you. I like brawling." Well, at least he's denouncing sexism and violence against women, albeit in an unsettling way. "I’m going to plead with you, do not cross us. Because if you do, the survivors will write about what we do here for 10,000 years," he said, according to the San Diego Union Tribune. By all accounts, Mattis is a competent general. He just has a weirdly gleeful way of talking about killing people.